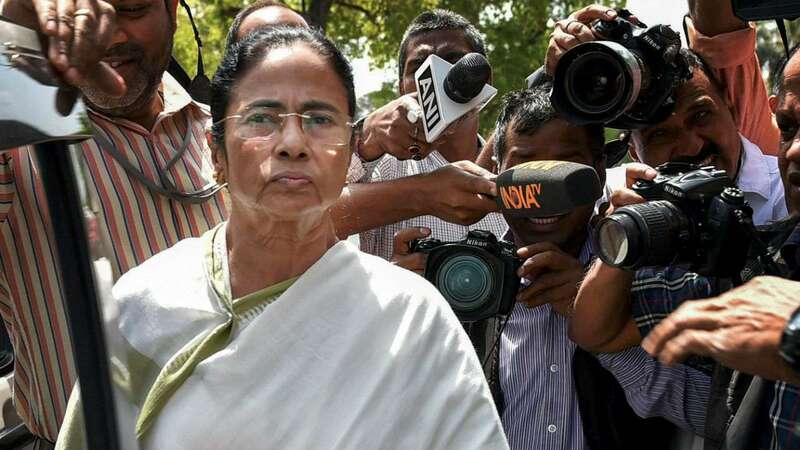 All eyes are on the Supreme Court as it is likely to give verdict on Monday regarding the case of uncontested winning of Panchayat seats by the ruling Trinamool Congress. On July, a division bench of the apex court of Chief Justice of India Dipak Misra had said that on August 6 they will give a verdict of this case. After the results of the last Panchayat elections in West Bengal, names of winners have been declared through a gazetted notification but no notification was issued for those who had won uncontested because the matter was pending at the Supreme Court. By mid-August the tenure of the panchayats would end and the state has already started preparations for forming the three-tier board of panchayats. In case a board is not formed owing to technicalities, an officer would be appointed as temporarily in charge of the board. After the verdict on Monday the state panchayat department would decide on its next course of action. “We will decide what to do after Monday’s verdict but we are prepared to form boards at all panchayat. Training panchayat members was in progress,” said a senior official of the panchayat department. Senior officers of State Election Commission (SEC) including SEC secretary Nilanjan Shandilya and joint secretary Shantanu Mukherjee. State law minister Malay Ghatak is also there. In the panchayat elections, of the total 48,650 panchayat seats, the ruling TMC had won in 16,814 seats. Of the total 9217 Panchayat Samity seats, TMC had won uncontested in 3059 seats. Similarly in 825 Zila Parishad seats it has won in 203 seats. In one of the Gram Panchayat seats, one independent candidate too had won uncontested. Killing Field of Bengal and Its political endorsement! Bengal led the cultural renaissance of India in 19th century. It was at the forefront of modern India, it led the science, art and economic revolution of India. Calcutta was once the second most important city of the world after London. But today both Bengal and Kolkata are patch of its past. Since freedom movement, Bengal’s politics have been loud and bloody. Loud politics of freedom movement has a justification, but why did the violence remain integral part of Bengal politics post-independence as well. Last congress CM of Bengal, Siddharth Sankar Roy, can be credited for legitimizing political killings by its cadres and aided by government administration. When Bengal suffered economic downturn, Mr. Roy created a cadre pool of young unemployed men, who were encouraged to be dada of locality and they worked as an extrajudicial arm of the government to implement congress political will. When communists came to power they took the concept of political cadres to a new violent level. Communist local cadre were a government unto themselves. Nothing happened in locality without their intervention. Political opponent were killed with impunity. There was rise of Naxalbari, communists installed their cadres at all levels of government and academic institutions. Killing and violent protest were the first line of answers from communists and its violent cadres. Years of violent subversion was finally challenged during Singur and Nandigram agitation. Mamta Banerjee, who herself was victim to political violence, rode the wave of farmer protest against state sponsored violence. She came to power with much fanfare and hope. Her win was historical. She was elected by the people to undo the cycle of violence and economic stagnation. But, her desperation to expand her party and eliminate opposition, led her to adopt the ways of her predecessors which she had opposed and protested against to come to power. It is widely believed that goons of the communist regime changed their political color from red to green. They brought their age old tactics of political violence to the new party. Mamta Banerjee is now doing to her political opponent what she had faced in her early political days. Her party workers now kill political opponent with impunity, she has subverted any opposing voice. She has jailed professors for sharing cartoons, she has arrested common people for asking questions. There have been routine call for violence by her senior party men. Recent news of BJP workers and even CPM workers who were attacked and killed. These are few instances which was reported and many such killings go unreported since media is under serious fear to report government’s misadventure. Her party is now the biggest employer in state. TMC party offices have mushroomed every few 100 meters in all over Bengal and you will young guys loitering around these shabby offices, doing god knows what. At the age when they should either be working or studying, these men have become foot soldier of TMC and they enjoyed the power that comes being a local dada. Any disobedience to political will of TMC can bring unprecedented violence to any opposing voice by these cadres.